No, those words were not written by one of the Flying Zucchini Brothers, the greatest daredevil act in television history, to describe their human cannonball act. Nor were they written by an organic farmer pondering his existence, while enduring a bad acid trip. Those words were written by an astronaut. Don Pettit to be exact. They’re part of his blog, “Diary of A Space Zucchini,” which last year followed his experience attempting to grow – you guessed it – a zucchini in space. The idea may seem a bit odd, but when the aliens attack and we’re forced to live our lives riding the Millennium Falcon on cruise control, thank this little zucchini plant for the fact that you’ll be eating real food and not that freeze-dried ice cream washed down with Tang. Your future dietary requirements are the reason NASA has begun its latest top-secret program code-named VEGGIE, slated to hit the International Space Station in December. Ok, you got us; it’s not top secret. You can read all about it here. The goal is a system that allows food to be grown on Mars (if you’re a man) and Venus (if you’re a woman). According to ModernFarmer.com, “This December, NASA plans to launch a set of Kevlar pillow-packs, filled with a material akin to kitty litter, functioning as planters for six romaine lettuce plants. 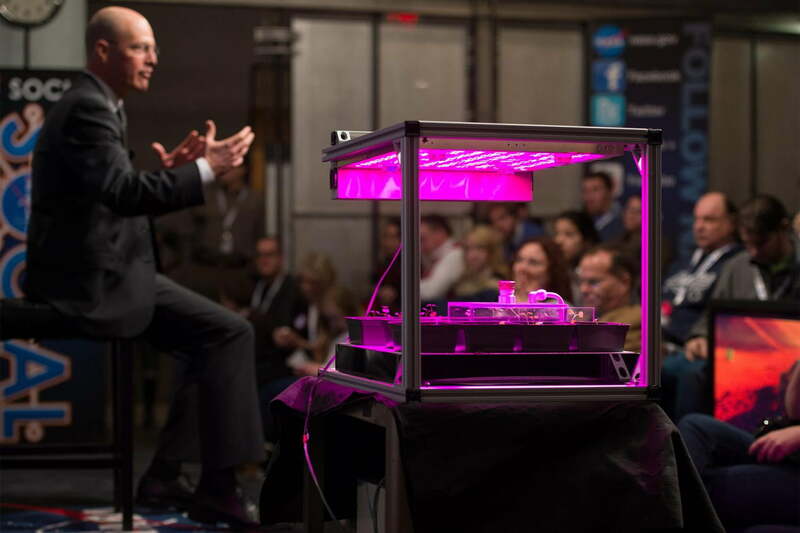 The burgundy-hued lettuce (NASA favors the “Outredgeous” strain) will be grown under bright-pink LED lights, ready to harvest after just 28 days.” Sounds a lot like my college roommate’s basement. Hey-oh! Smoke ‘em if you got ‘em. Am I right? Um … where was I? The goal is to create a regenerative system that allows food to consistently be grown on the space station, a moon colony, or Mars (if you’re a man) and Venus (if you’re a woman). We’ve always wondered if there’s life on other planets. Soon the answer will be yes, but with the caveat that we brought it, and only because it tastes great in a salad. 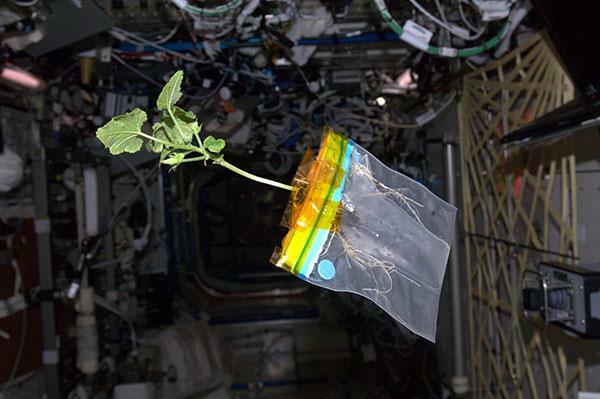 In space, a plastic bag can be the next best thing to soil, as this zucchini plant growing aboard the ISS proves. 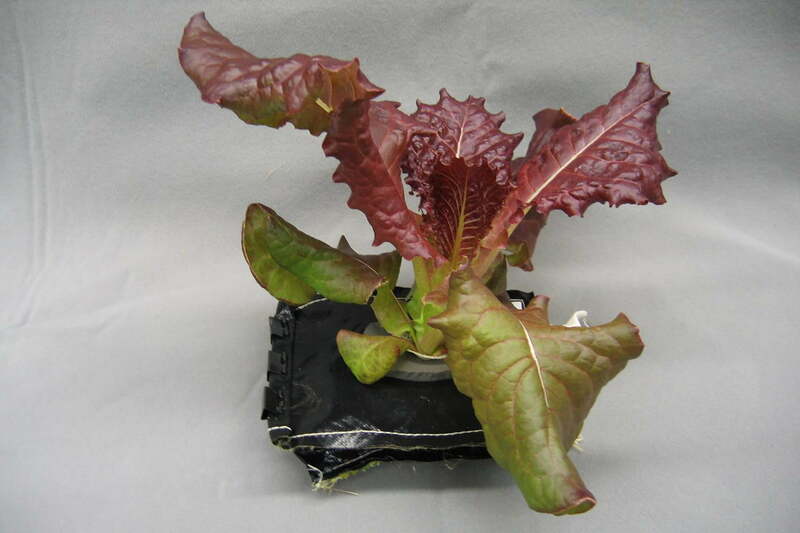 But there’s benefit to growing plants in space beyond a balanced diet and a full stomach. Monitoring plant growth also works as therapy. Astronauts are confined in small spaces and pushed to their limits, and researchers have found that caring for plants relieves stress, and lessens depression. It takes the edge off, so to speak. It’s not that surprising to learn that the Horticultural Society of New York has been utilizing such therapy for prisoners in Riker’s Island since the late ‘80s. After all, their living spaces aren’t that different (though I’m pretty sure if you drop the soap in space you’ll have nothing to worry about). The astronauts have found that nurturing the plants they’re responsible for makes those plants seem like part of the crew. Which is pretty weird since, you know, they’re not. They’re merely creating an emotional attachment due to a lack of social interaction and downright loneliness. But at least they’ll be delicious! Excuse me, what’s that now? Cosmic microbes? If people have a problem with Monsanto, wait ‘till they learn that their salad has space microbes in it. Oh my god! I see what’s happening! We’re going to bring lettuce up to space, that lettuce is going to get infected by little space organisms, then one day you eat a space salad and you have the worst case of indigestion in your life. The little space organisms’ DNA then mixes with the lettuce and before you can say “These aren’t the droids you’re looking for” the International Space Station is one little station of horrors. Okay, maybe that’s being a little alarmist. And maybe I’ve seen one too many movies. Developing a food source that’s sustainable in space is a significant step as we aim to expand our reach, and boldly go where no man has gone before. And that goes for NASA or Richard Branson’s Super Rich Guy Club. If we ever do hope to see little green men one day, we’re all gonna need to have green thumbs, first. I just hope NASA’s already stockpiling some Ranch dressing.